Due to the benefits associated with merchant cash advances and continues restrictions on loans from traditional banks to small businesses, merchant cash has emerged as the best financing alternative. Businesses new to the industry without a good credit rating often face difficulty in getting funds. A merchant cash advance turns out to be the best solution to readily available cash. Merchant cash is an advance on your business’s future credit card sales. It provides access to needed capital to small business owners who wouldn’t otherwise be able to invest in the expansion of their business or find a bridge to carry them through a rough patch. Although the MCA industry is booming right now, it has been observed that businesses are still not aware of this alternate type of funding and merchant cash providers are facing difficulty in finding the right prospects. Fortunately high-targeted lists such as UCC leads exist to help you reach target prospects efficiently. UCC leads provide important information such as name, company, phone number, etc. of businesses looking for additional capital to support on-going operations. Small businesses and Those new to the industry make for potential customers. 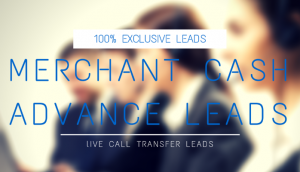 Having access to these leads lists will help you launch a successful merchant cash advance marketing campaign. Immediate cash– Unlike traditional banks that require a lengthy process, including a great deal of paper work that may take months for approval, a merchant cash advance is straightforward. It doesn’t need any kind of credit or collateral. usually within one to two business days. Easy application and offers a high-approval rate– When you consider MCA marketing, explain to your business loan leads that merchant cash entails a quick, simple and obligation-free application process. Merchant cash offers a high-approval rate: any stable business can qualify for an MCA, regardless of credit. Safer- The merchant cash advance vendor will not consider one’s credit rating for the loan application nor will it affect your rating because an MCA stays off your credit report. In other words, a merchant cash seller doesn’t need any kind of collateral for a prospect to qualify for a loan like traditional banks. Your UCC leads should know how easy, safe and simple a cash advance can be. No restriction– Business loans obtained from a traditional financial source come with a restriction: the funds must be used for a stated purpose. However, the merchant cash advance doesn’t come with any such limitation. You are free to use the funds the way you want such as to buy new equipment, pay wages, launch a product, etc. Explaining the merchant cash benefits will help you attract UCC leads to buy loans from you. If you are planning to launch a strategic marketing campaign to sell these business loans, getting our fresh and qualified UCC leads can help!